Franco-German relations have a long history – also in Frankfurt, a fact stressed not only by Frankfurt’s honorary citizen François Mitterrand. Since 1960, the city has been twinned with Lyon, France’s third-largest city. Furthermore, it has been twinned for more than 40 years with Deuil-la-Barre near Paris. Frankfurt Economic Development GmbH has been cooperating closely with ADERLY, the association of entrepreneurs of the Lyon region, for many years. Frankfurt Economic Development GmbH is a reliable partner for French enterprises, both in the phase of settlement and in later business development. Are you interested in investment or networking opportunities? Then please get in touch. French journalists enjoy living in cosmopolitan Frankfurt. The respected daily Le Monde and the news agency Agence France Presse (AFP) maintain offices here. The town twinning with Lyon, France’s third-largest city, is one of Frankfurt’s longest-established. Since October 15, 1960, there has been a lively exchange between sports clubs, cultural associations and schools. The Frankfurt district of Nieder-Eschenbach has been twinned with the town of Deuil-la-Barre close to Paris since May 1, 1967, and maintains close cultural ties. 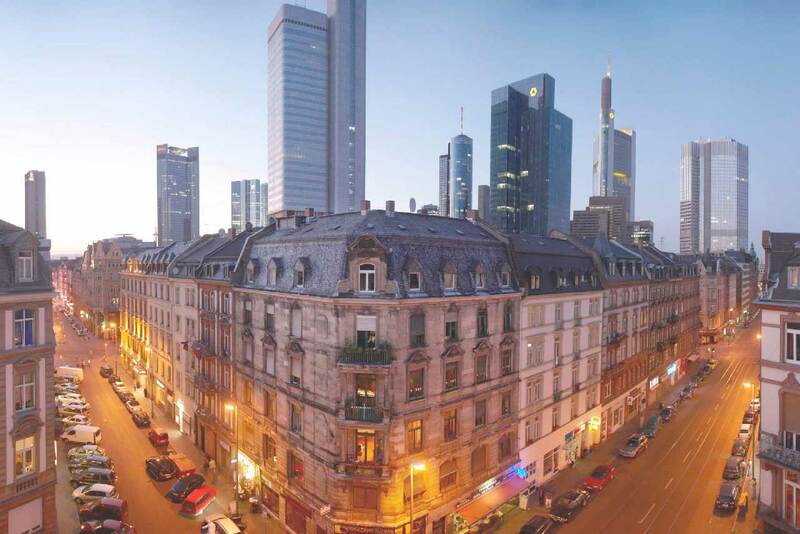 The close connections between France and Frankfurt and the long-established French business community in Frankfurt have brought forth an extensive network of cultural and social institutions. Instruction in French for all ages, from preschool all through high school. The diplomas are recognized by the cultural ministries of both countries. In 2007, the school with 566 pupils celebrated its 45th anniversary. French-language education and training courses for all years, from preschool to the European high school diploma (baccalaureate). Infants and preschoolers are in the care of nurses and teachers speaking three languages: besides French, they speak German and English, too. For many years, the university has been maintaining close academic ties to and cooperating with a variety of French universities and their departments. The Université Lumière Lyon 2 is Frankfurt’s European partner university. In 2005, the Raymond Barre visiting professorship for French economy and economic policy was established, for a term of five years at first. It was supported by the German-French Society and various Frankfurt-based French companies. The International Theater Frankfurt regularly hosts musical and theatrical events in French. Other venues offer events featuring French literature and chansons as well. The German Film Museum has dedicated a special series of screenings to French cinema: the Ciné-Club français usually shows films with the original soundtrack. Numerous haute cuisine restaurants – some of them starred – and innumerable small French bistros make Frankfurt feel like home to the French living in or visiting the city. The business club, founded as early as 1977, is dedicated to establishing a framework for the exchange of ideas and experience between French-speaking and German businesses. Today, the club counts 430 members, among them mostly French companies, but also many German businesses interested in a Franco-German exchange. The members of the Club des Affaires meet on the second Tuesday of every month. Besides a talk on a business topic, there is a casual get-together. An even co-hosted by Frankfurt Economic Development GmbH and the Club des Affaires de la Hesse, which took place for the fifteenth time in 2007. This event is intended to welcome new French companies and introduce them to the existing networks. French-German Society Frankfurt am Main e.V. The purpose and objective of the society are to maintain Franco-German relations and to further Franco-German understanding in business, culture, society and politics. It has more than 400 active members. Its series of lectures on politics, the economy and society facilitates an open dialogue with important decision-makers from both countries. The Club des Alsaciens was founded almost 15 years ago. One of the events it organizes is the very popular Alsatian market, which takes place once a year on Frankfurt’s Paulsplatz.